One of my favorite things to do is hang out with my daughter for a movie night. That also usually includes popcorn, manicures and lots of singing and giggles. She’s eleven years old and I’m enjoying every minute of our girl time because I know it won’t last forever. 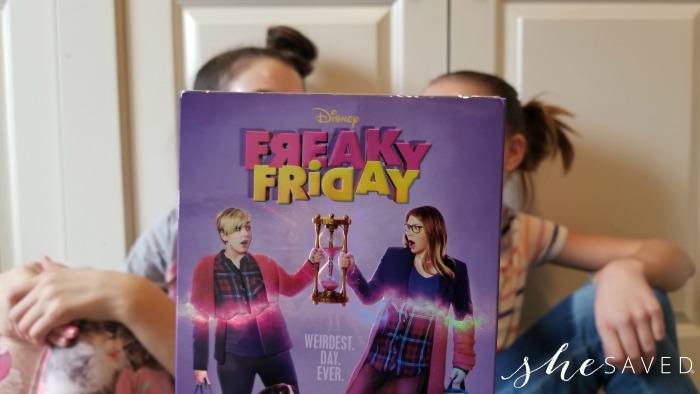 I remember watching the original Freaky Friday movie with my mom, so I had a blast watching Disney’s newest version with my daughter. Since this one is a musical, it’s a fun twist on an old favorite . I was a bit worried that this story might be hard to retell, the original two movies are so good. But wow, they did it and I felt like I was watching an entirely new movie. The musical aspect made it so fun and my daughter loved the songs. I’m always looking for ways to stay connected to my daughter and not only was this movie fun to watch together, but it was also a great conversation for a few timely topics. If you have a young teen/tween then I highly suggest checking this movie out together! It’s also a great movie for slumber parties! Our friends at Disney sent us this fun spa kit to celebrate the release of this movie to dvd and my daughter and I first watched it together and then again when she was having one of her besties over to stay the night. We had a blast with our spa night and the two of them got the biggest kick out of the face masks and spa night treats! 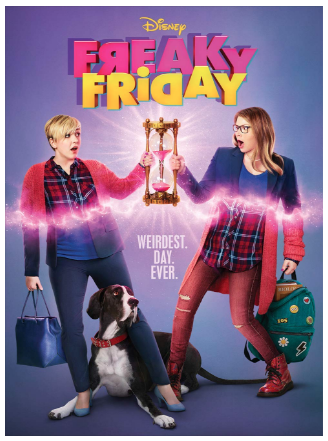 Disney’s Freaky Friday is available on Blu-ray and DVD now!